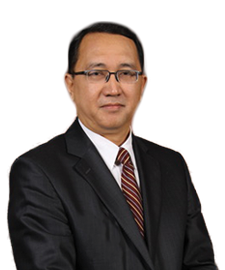 Encik Zainal Abidin bin Jamal (“Encik Zainal”) ls an advocate and solicitor by profession. He founded Messrs Zainal Abidin & Co. Advocates & Solicitors on 2 November 1987 and is currently a Senior Partner with the firm. He is also an empanelled arbitrator of Asian International Arbitration Centre (AIAC) since 2014. Encik Zainal is currently the Chairman of Maybank Islamic Berhad, and Director of Sime Darby Plantation Berhad, Lam Soon (M) Berhad and Prominent Beauty Sdn Bhd. He is also the Chairman of Global Humanitarian Fund, a Company Limited by Guarantee. He has previously held other directorships on the boards of various public listed companies, public companies and private limited companies in the manufacturing, plantation, property development, banking and finance, and transportation industries. Encik Zainal served in the Singapore Armed Forces (Infantry) between December 1972 and June 1975. He later read law at the University of Singapore between June 1975 and April 1979, and graduated with a Bachelor of Laws (Honours) from the University of Singapore and enrolled as an Advocate & Solicitor, Supreme Court of Singapore in 1980. In June 1980, he served as a First Class Magistrate, Judicial Department, Brunei and was enrolled as an Advocate & Solicitor in Brunei in 1982. Encik Zainal later served as the Company Secretary of Harissons Malaysian Plantations Berhad between August 1983 and April 1986. He was enrolled as an Advocate & Solicitor of the High Court, States of Malaya in November 1986. Dato’ Dr. Mohd Gazali Abas is the Secretary-General of the Ministry of Education, Malaysia. He had previously served as the Secretary-General of the Ministry of Human Resources (October 2017 – June 2018) and Director of the National Institute of Public Administration (January – October 2017). Dato’ Dr. Mohd Gazali Abas’ career in Malaysia’s civil service spans over 3 decades, throughout which he has progressively held various portfolios, including in the Ministry of Rural and Regional Development, Ministry of Finance and the Economic Planning Unit (EPU). Dato’ Dr. Mohd Gazali Abas graduated with a Bachelor of Economics (Hons) from the University of Malaya in 1983, an Advanced Diploma in Public Administration from the National Institute of Public Administration in 1985, an MBA in Finance from the University of Nottingham, United Kingdom in 1991 and a PhD in Economics from Waseda University, Japan in 2005. Datuk Dr. Amin Senin was appointed as Director General of Education, Ministry of Education on 19th October 2017 to replace the outgoing Director General of Education. He began his career as a teacher at SMK Tenghilan in 1984. In 1989, he became the Principal of SMK Taun Gusi and later on was appointed as the Assistant Director of Jabatan Pelajaran Negeri Sabah. In 1995, he went back to teaching as Principal of SMK Labuan. Datuk Dr. Amin was loaned to Biro Tatanegara Cawangan Negeri Sabah in 1996 as Director and in 1999 he became Principal of SMK Gunsanad. 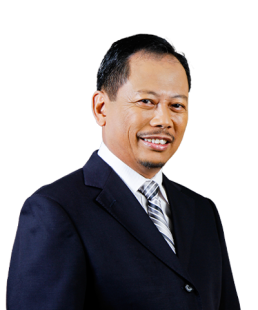 In 2005, he was appointed as Sector Head of Jabatan Pengurusan Akademik, Jabatan Pelajaran Negeri Sabah and later on as Head of Pusat Pembangunan Sumber, Institut Aminuddin Baki. He was appointed as Assistant Director of Institut Aminuddin Baki and remained in the position until 2009, when he was appointed as Deputy Director (Policy and Education Development) of School Management Division and later on as Deputy Director (Policy and Education Development) of Curriculum Development Division in the Ministry of Education. He returned to Institut Aminuddin Baki in 2009 as Deputy Rector and in 2011 was appointed as Director. In 2012, Datuk Dr. Amin was appointed as Deputy Director General of Education (Policy and Education Development), Ministry of Education and in 2015 held the position of Deputy Director General of Education (Teaching Professionalism Development). 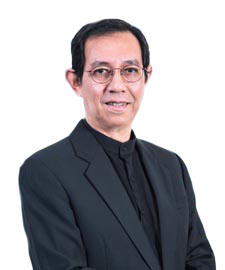 Datuk Dr. Amin holds a Bachelor of Science and Education from Universiti Sains Malaysia, a Masters of Science (Human Resource Development) from Universiti Putra Malaysia and a Doctor of Philosophy (Education Management) from Universiti Malaysia Sabah. Tan Sri Abdul Ghafar Mahmud currently serves as Chairman of Perbadanan Kota Buku and the National Book Council and is appointed by MOE as an advisor for the Fully Residential Schools and development of Young Teachers project. Starting off as a teacher, he began to build his career by serving at various capacities and levels in school, State Education Department, and the Ministry of Education. He served as a school principal from 1998 to 2001 and was later appointed as a Principal Assistant Director in the Schools Division of the Ministry of Education. He then assumed various leadership roles, namely as the head of various ministry divisions including the Director of Sports Division, Chief Inspector of the School Inspectorate and Director of Institut Aminuddin Baki. In 2011, he represented the Minister of Education at the 46th SEAMEO Council Conferences (SEAMEC) and the 6th ASEAN Education Ministerial Meeting (ASED) in Brunei. He also carried the role of Attaché Officer for the Malaysian Embassy in Washington DC, United States and was elected as the Deputy Chairman representing Asia Pacific Region in the 61st session of the Council of UNESCO, International Bureau of Education (IBE). His last post prior to retirement was as Director-General of Education, Ministry of Education Malaysia from 2010 to 2013. He graduated from University Malaya with a Bachelors Degree of Arts and Diploma in Education. He also received a Master of Art in Education from University of East Anglia, Norwich, England. 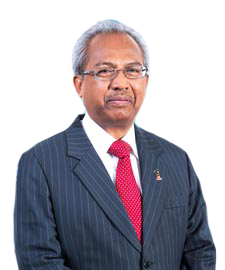 Professor Tan Sri Dato’ Dzulkifli Abdul Razak is currently the 14th President of the International Association of Universities (IAU), a UNESCO-affiliated organisation, based in Paris. In addition, he is an Honorary Professor at the University of Nottingham and holds the Chair of Islamic Leadership at Islamic Science University (USIM) in Malaysia. He also chairs the Steering Council of the Right Livelihood College Global Secretariat based in the University of Bonn, Germany. Of late, he was selected to be a member of the 2015 Hamburg Transuniversity Leaders Council, a “think tank” of future higher education. He was also made a member of the Global Leadership Initiative at the School of Frontier Sciences, University of Tokyo, Japan. His other international involvements include being a member of the Asia-Europe Meeting (ASEM) – Advisory Education Hub Committee since 2007 and Executive Council of the Association of Commonwealth Universities (2006-2011). He has served as the 5th Vice-Chancellor of Universiti Sains Malaysia (USM) from 2000 to 2011 and as a member of the World Health Organization (WHO) Expert Advisory Panel on Drug Policy and Management since 1995 until 2010. He also contributed to the WHO Scientific Committee of Tobacco Product Regulation (2004-2006). He is a Fellow of the Academy of Sciences Malaysia (FASc), the World Academy of Art and Sciences (FWAAS) and the Malaysian Institute of Malaysia (FMIM). He is also an Honorary Lifetime member of Asian Academy of Management. He is a weekly columnist for Malaysia’s oldest daily in Malaysia, The New Straits Times since 1995 and more recently The Sun Daily. Encik Mohd Adam bin Mohd Said (“Encik Mohd Adam”) is the Group Chief Executive Officer of Profess Consulting Group Sdn Bhd, a group of consulting companies providing services in the areas of Strategy & Management (Sageconsulting Sdn Bhd), Human Resource (Irshad HR Consulting Sdn Bhd), ICT (Multimedia Consulting Sdn Bhd), Technical Consulting (Global Performance Technical Consulting Sdn Bhd) and Executive Search (AP Global Talent Link Sdn Bhd). 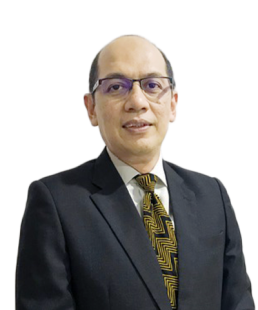 Encik Mohd Adam’s other current posts include: Chairman of Board of Directors of Medic IG Holdings Sdn Bhd, Director of UPM Holdings Sdn Bhd, Director of UPM Education & Training Sdn Bhd, Director of WSA Capital Corporation Sdn Bhd and Director of Hospital Pakar An-Nur Sdn Bhd. He is also Deputy President of Muslim Business Network and a Member of the Board of Trustees of Hidayah Centre Foundation. He was also Industry Advisor for Faculty of Economics & Business, UNIMAS for two terms. Encik Mohd Adam obtained his highest academic qualification of MBA (HRD) from the University of Hull, United Kingdom. 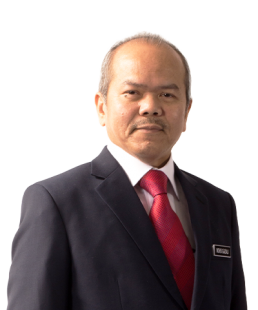 Encik Mohd Yuzaidi bin Mohd Yusoff (“Encik Mohd Yuzaidi”) is the co-owner of Tecnostcraft Sdn Bhd, the sole appointed distributor for MarkAny solutions in Malaysia, one of the world’s leading Enterprise Digital Rights Management and watermarking solutions provider from Korea. A professional with over 25 years of consulting and entrepreneurial experience in Asia in various trades and diversified portfolio of companies and industries. Previously employed by Arthur Andersen, Andersen Consulting and Accenture prior to setting up a boutique consulting firm, Clear Minds Sdn Bhd. Served as a nominee director for a couple of Perbadanan Nasional Berhad (PNS) invested companies. He was the Group Chief Strategy and Corporate Governance Officer for PST Ventures Sdn Bhd. He is the current Chairman of the Muslim Professionals Forum (MPF), a grouping of Muslim professionals that strive to achieve a credible intellectual engagement and dialogue on issues that touch on Islamic beliefs, practices, culture, social and thought with a wide cross-section of the Malaysian society. Encik Mohd Yuzaidi graduated in 1984 with a Bachelor of Science (Computer Science) from the Northern Illinois University, USA and obtained his Master of Science (Business Administration) from San Diego State University, USA in 1988.